This week was completely dominated by NaNoWriMo, which in case you were wondering, I ACTUALLY BEAT!!!! 50,000 words of story and I couldn’t be happier about it. I reckon it’ll take another 20k to finish the plot, then I have to go through and make a first draft. Exciting stuff. Also, the PLEXUS committee elections kicked off this week, so by this time next week, I’ll know if I’ve blagged myself a position, which is WAY scary! Warrior of the World (Jeffe Kennedy) – The continuing adventures of Ivariel, and her new life wiht the D’tiembo family. This week has been the poster child for bi-polar moods. 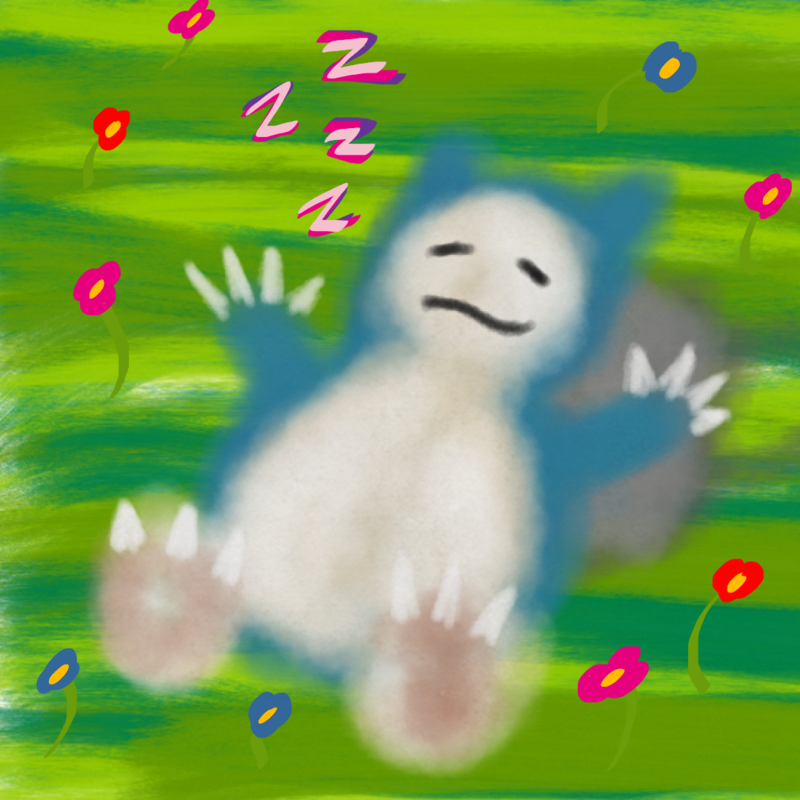 I’ve been super productive, writing and studying loads, and it’s been totally amazing. I’ve also been utterly miserable about a whole lot of stuff, which was less fun. On the plus side, I’m about 5,000 words away from beating NaNoWriMo which is totally awesome! Book Review: Evenfall (Gaja J. Kos & Boris Kos) – an enjoyable, if occasionally annoying fantasy read. Book Review: The Road to Vermilion Lake (Vic Cavalli) – The tale of a blossoming romance between two unlikely lovers. Book Review: Changing Ways (Julia Tannenbaum) – A story of mental illness, emotionally draining at times, and beautiful throughout. Study J(OU)rnal, Week 2, Year 1 – My diary. Book Review: Interconnected (HH. The 17th Karmapa) – Further musings of His Holiness the 17th Karmapa. Book Review: When the Chocolate Runs Out (Lama Thubten Yeshe) – A lightning fast review of some key Buddhist topics. Guess what just came in the mail! That’s right, somebodies, it’s the 100% Official Books That Matter box! So as you can see, we’ve got a sweet, sweet book, a stick, a badge, a key-ring and little leaflet / poster about “Key Moments in Black British History”. So first up, we have the main event, our book for the month. 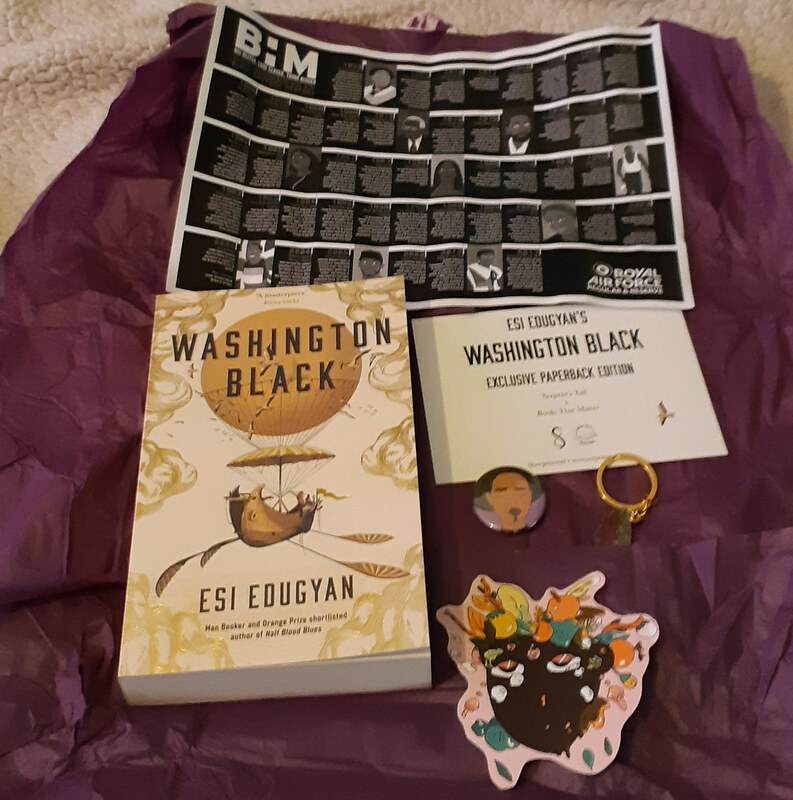 This months selection is Washington Black by Esi Edugyan. The little guide-to-the-box sheet has this to say about Washington Black: Described as “nothing short of a masterpiece”, Washington Black is the perfect choice to celebrate Black History Month. (…) Edugyan takers her reader from the Caribbean to the Arctic, to Nova Scotia, London, Amsterdam and even Morocco (…) analysings the human condition as she explores love, friendship and history throughout Wash’s extraordinary journey. And did I mention that it’s super pretty? Now let’s have a better look at this months goodies! 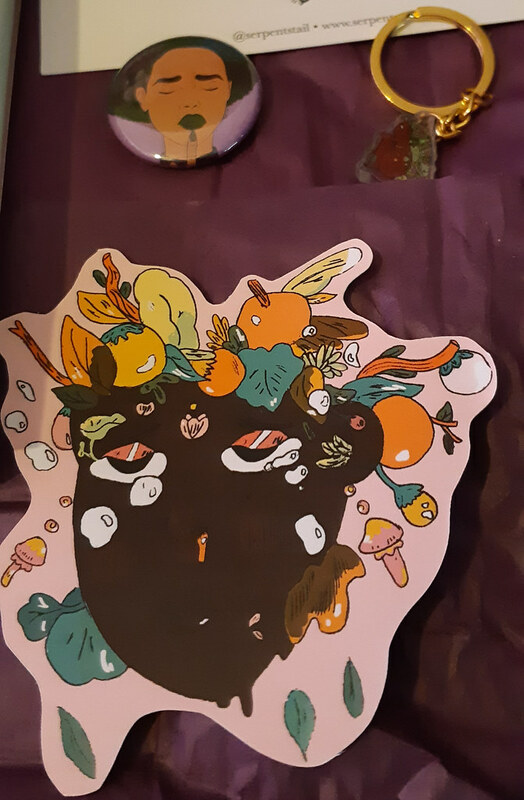 So first up, we have a little pin-badge by Nyanza D, whose work you can find at https://nyanzad.com/ which you should totally check out. Some really cool artwork on there, including some really excellent body-positive pieces I really love! 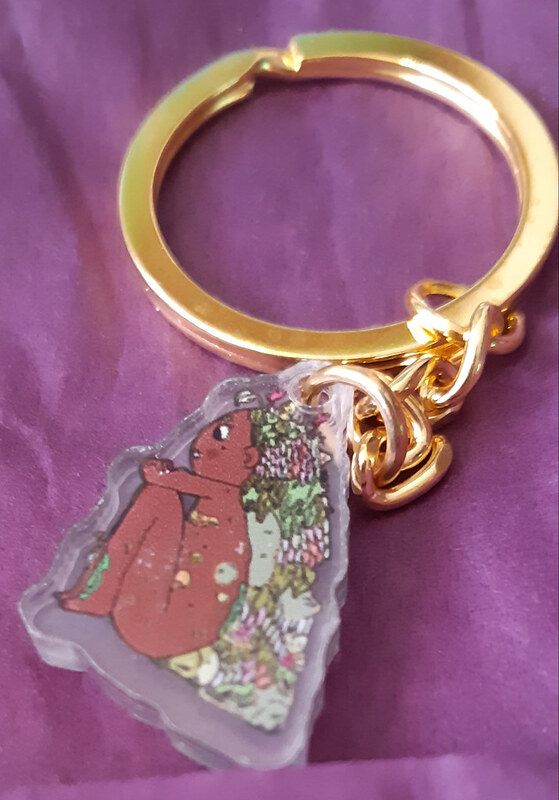 Is that not the cutest little key-ring you ever saw?! Don’t bother answering, ’cause I know it is! So there we have it, another months worth of super special, super lovely books and gifts. If you’re not already supporting Books That Matter and the authors and creators they are working with, you should be!